Sally joined our company in 2009 as an Administrative Assistant. She is now an Executive Assistant for Ernie and Eric. She works with new business as well as resolving issues related to ongoing business. Sally enjoys getting to know the people that call Stiba Wealth Management their Financial Advisor. 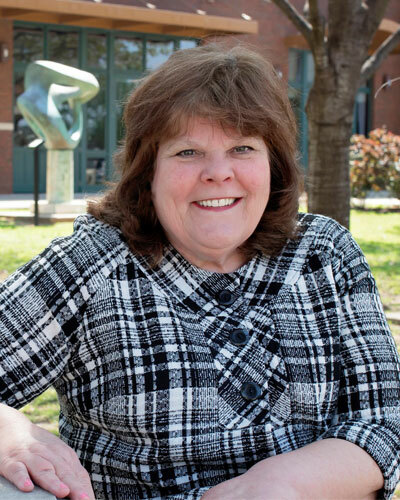 Prior to joining our company, Sally worked with a financial institution for 25 years. She supervised five employees in a regional recordkeeping department and later maintained a small book of qualified retirement plan business as well as supporting two Employee Benefit trust officers. Sally is active in her church as a Stephen Minister and Secretary of the Church Council. She enjoys traveling and spending time with her son, daughter-in-law, and two grandsons; her family also includes a rescue dog named Gizmo.